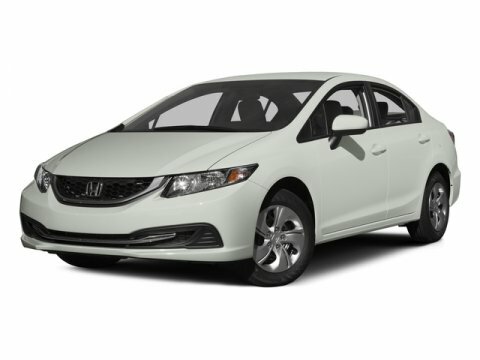 WAS $18,992, FUEL EFFICIENT 41 MPG Hwy/30 MPG City! LOW MILES - 40,043! Rallye Red exterior and Black/Ivory interior, LX-P trim. Sunroof, Bluetooth, Remote Engine Start, iPod/MP3 Input, Alloy Wheels, Back-Up Camera. ======KEY FEATURES INCLUDE: Sunroof, Back-Up Camera, iPod/MP3 Input, Bluetooth, Aluminum Wheels, Remote Engine Start MP3 Player, Keyless Entry, Steering Wheel Controls, Electronic Stability Control, Bucket Seats. Honda LX-P with Rallye Red exterior and Black/Ivory interior features a 4 Cylinder Engine with 158 HP at 6500 RPM*. ======AFFORDABILITY: Was $18,992. ======WHO WE ARE: Deacon Jones Auto Group, a family owned and operated group of full-service automotive dealerships, has proudly been serving our friends and neighbors in eastern North Carolina for over 32 years with an unparalleled commitment to customer service and complete customer satisfaction. Sales tax, Title Fee, Registration Fee charges, and $599 Documentary fee are additional to the advertised price. We make every effort to have accurate pricing but occasionally mistakes occur. Pricing analysis performed on 3/18/2019. Horsepower calculations based on trim engine configuration. Fuel economy calculations based on original manufacturer data for trim engine configuration. Please confirm the accuracy of the included equipment by calling us prior to purchase.